Cyberattacks against law firms continue to increase in frequency and success. According to a report, “over 10,000 network intrusion attempts were detected per day across just 200 law firms" in 2016-2017. Further, they found that, "100% of those firms are not compliant with their client’s policy standards." Victim firms come in all sizes. Unfortunately, many law firms are still unprepared for data breaches, even though client audits of information security are also increasing. Outsourcing your information technology to a managed services provider like Innovative Computing Systems can help protect your firm from cyberattacks – and unhappy clients. Why Do I Need a Managed Services Provider? Make your law firm audit-proof. As a legal-focused MSP, Innovative can help continually move your law firm toward meeting client audit requirements around data security. Decrease stress. We take the stress of evaluating and implementing innovative technologies in your firm off your back. Provide expertise. Our technical expertise and focus on the legal field relieves you of trial-and-error efforts to set-up new technology and solutions. Train your employees. We can train your employees on cybersecurity awareness and best practices on protecting your sensitive data. Protect your mobile devices. We prepare your mobile workforce for data security, whether the device is company-provided or BYOD. Fix it when it breaks. Our legal technology experts are always available to fix any issues that may arise with your firm’s IT – so you don’t have to worry about it. 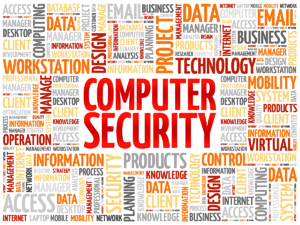 Innovative Computing Systems will relieve you of the constant worries that your data security isn’t up-to-snuff. Best of all? It’s all offered in our managed IT services program package. There are two costs law firms should consider when choosing a managed services provider. How much will these protections cost? This question is answered based on your firm’s needs and budget in consultation with your MSP. How much will not having these protections cost? The answer here is based on how much time your law firm can survive without access to its data, how much harm your reputation can withstand, how many clients you are willing to lose to other firms, how many thousands of dollars in notifying affected clients your practice can afford and more. Ultimately, investing in your law firm’s information security upfront is far less expensive than trying to remediate a preventable cyberattack and contain its consequences. Having a legal industry-focused, security-conscious MSP like Innovative Computing Systems gives your firm around-the-clock monitoring and repairs by legal technology experts. If you’re interested in learning more about how we can take the burden of your law firm’s IT off your shoulders so you can focus on your clients, please contact us.